Oscar Jr. piloting the Team CRE Catfish in the early morning hours of the 2012 25 Hours of Thunderhill. 2012 was again a very busy year of racing for the “Jackson’s”. Racing has always been and always will be a part of the DNA here at Jackson Racing. Whether it’s Oscar Sr., Oscar Jr., Landon, or Spencer; one of us or a combination of us are racing to perfect our product and certify that “we race what we sell”. Oscar Jr. was very busy in 2012 so finding time to get his SCCA National Championship races in to qualify for the SCCA National Championship Runoffs proved to be a challenge. Because of scheduling conflicts Oscar Jr. missed both of the local SCCA National events at Buttonwillow Raceway and California Speedway and had to travel to Portland International Raceway in July and to Miller Motorsports Park in Salt Lake City, Utah in August to get his needed points and races completed. Oscar Jr. seems to adapt to new tracks pretty quickly and it showed at the July 13-16, 2012 race at PIR by setting a time quick enough for Pole Position in the Super Touring Lites (STL) class and finished the weekend with wins on both days of the Double National event. Three short weeks later Oscar Jr. was on his way to the lovely Miller Motorsports Park for another SCCA Double National event. Miller Motorsports Park is a World Class facility with excellent garages and a very challenging racecourse layout. When you add the 100ºF temperatures common in August to the challenging layout and 40 other screaming cars all vying for the same piece of tarmac going into the first turn the outcome doesn’t always turn out good. Fortunately for Oscar Jr. he easily navigated his way to the front, and scored two wins and two new track records over the weekend in the tough summer heat. Combined with his double wins at the Portland round, Oscar Jr. was awarded the SCCA Divisional Championship for 2012. Unfortunately the SCCA decided to demote the fresh STL class to an “Exhibition Class” for 2012 just weeks before the Runoffs, which would make it a Non-National Championship race. We decided it was not a wise decision to make the trek back to Elkhart Lake, Wisconsin to compete in a class that didn’t award the National Championship. Oscar Jr. had a good, if very quick, year of SCCA Racing and came away with the Divisional Championship. Maybe this year he can go all the way and win the big one! Each year SuperStreet Magazine invites some of the best tuners of front drive Honda’s to compete in their FF Battle Championship. This year Oscar Jr. was hired by Sportcar Motion to drive their Honda CR-Z with a K20 engine swap. Sportcar Motion did an extremely gorgeous engine swap on the car and it looked like Oscar Jr., the 2011 FF Battle Champion, had a chance to repeat as champion in 2012. Unfortunately some wiring issues kept turning on the VSC (Vehicle Stability Control) in mid-corner and kept the little CRZ from it’s full potential. Like his father, Oscar Jr. is a very good motorcycle racer as well as a great car racer and will jump at any opportunity to race a motorcycle or a car. Enter the new sport of Endurocross and Oscar Jr. was hooked. Endurocross is a motorcycle race held inside sports arenas with huge obstacles like logs, boulders, sand and water crossings. Riders compete on motocross bikes that have been highly modified to be able to conquer these extreme obstacles. Oscar Jr. had a great season learning this new sport on a new machine and is looking forward to competing again in 2013. The third week of August every year is the date for the worlds fastest cars and motorcycles to test their engineering against the laws of physics at the great Bonneville Salt Flats in Wendover, Utah. Jackson Racing was again teamed up with Hondata in an attempt to capture even more World Records just as they have since 2008. But this year things were different. Doug Macmillan of Hondata decided it was time that Oscar Sr. see what two Jackson Racing/Rotrex superchargers on a K20 engine and 800whp felt like at 200+mph. So this year Oscar Sr. climbed into a borrowed Bonneville legal driving suit and went out and drove to 198mph to receive his unlimited Bonneville racing license. The Hondata/Jackson Racing Acura RSX already holds numerous speed records and has gone through the speed traps at over 236mph, but for licensing purposes Oscar Sr. wasn’t allowed to go over 200mph during his license runs. And although any speed over 175mph but less than 200mph would have qualified him for his unlimited license, the racer in him pushed the envelope to reach a speed of 198.84mph! Oscar Sr. proved there is still a lot of Racer left in him and he still wants to race what he sells even if it means driving at 200+ mph! The 25 Hours of Thunderhill is the longest race in North America, and is now legendary in road racing ranks as among the toughest, most challenging endurance races in the world. It is the greatest challenge to man and machine that you can imagine. Drivers are pushed hard for up to 5 hours at a time; the crew deals with a lack of sleep as they have to be ready for a pit stop at any moment during the entire 25 hours of racing and the Crew Chief has to endure the entire race with no rest whatsoever. In 2011 Oscar Jr. drove and Oscar Sr. was Crew Chief to the rookie team from 949 Racing and brought them a commanding win in their first attempt. For 2012 Oscar Jr. and Oscar Sr. teamed up with AIM Tires to campaign a brand new “kit car” called the Catfish under the new Team CRE/Jackson Racing/Achilles Tire banner. The Catfish is a tube frame racing chassis with a flowing fiberglass body powered by a stock 1999 Mazda Miata engine, transmission and differential. Although the car only had 140whp it was very light, nimble, went hours on a single tank of fuel. The new Achilles racing tires that were being used for the first time proved unstoppable and provided excellent grip deep into a long driving stint. Because this is a purpose built car and not a production car it was required to run in the Unlimited ESR class against ultra-fast Radicals, LeMan type cars like the Norma, and other exotic racecars. 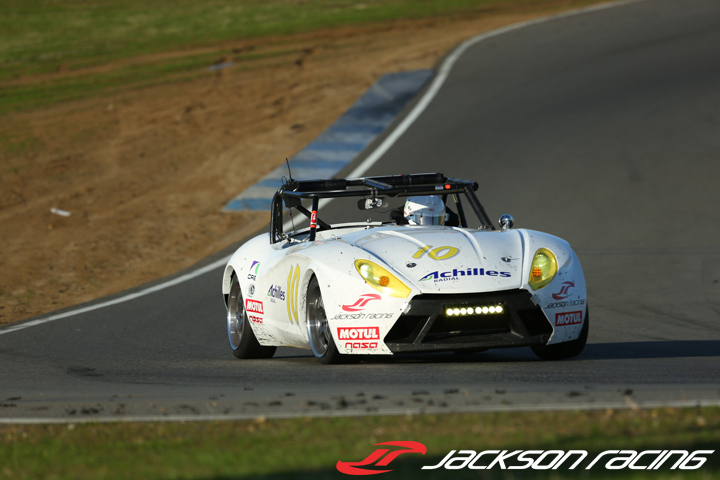 When the checkered flag finally fell, the Team CRE/Jackson Racing/Achilles Tire Catfish CB01-R had finished a very respectable 3rd place in its first outing. For 2013 Team CRE/Jackson Racing/Achilles Tire will be racing the entire WERC Championship and the 2013 25 Hours of Thunderhill. We look forward to another dominant season as we smooth out the rough edges of this great new car and vie for the WERC Championship and a win in the prestigious 25 Hours of Thunderhill. 2013 will be another action packed year for us at the racetrack! Follow along on Facebook and Twitter to receive all the track updates! 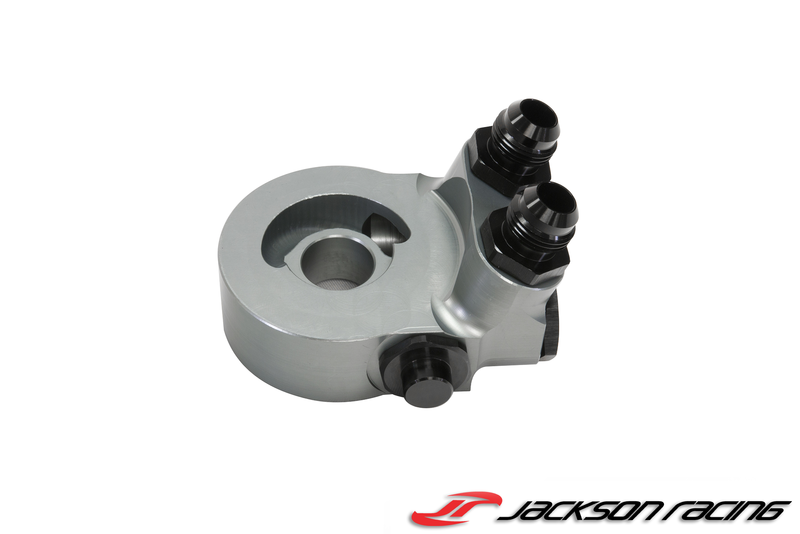 The Jackson Racing Supercharger system works seamlessly with the CVT transmission. 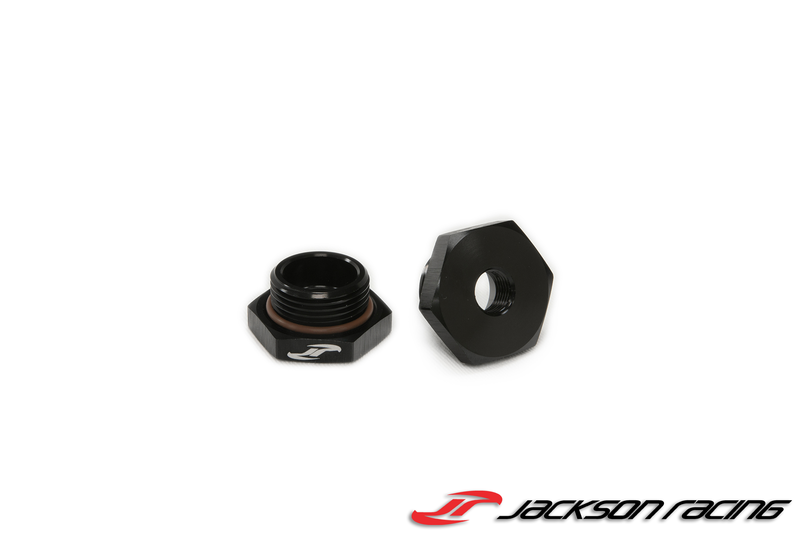 The CVT shifting strategy works perfectly to maximize your acceleration with the Jackson Racing supercharger system. When you accelerate hard in Sport mode, the engine immediately hits peak torque and continues to accelerate towards peak power. 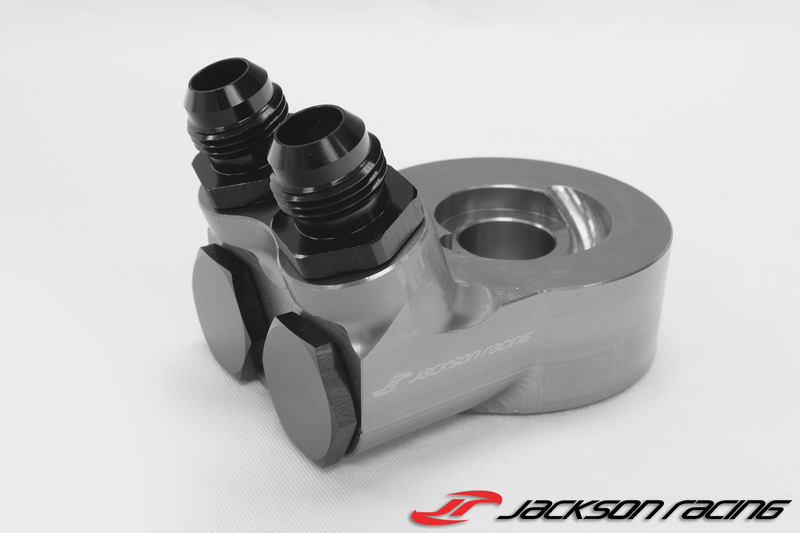 The Jackson Racing CVT supercharger systems include an additional transmission oil cooler to ensure safe and proper CVT oil temperature levels. The power and torque delivery of the Jackson Racing CR-Z is perfectly balanced with the Honda IMA hybrid system to provide a smooth, strong and sporty power delivery that will make you fall in love with your Honda again. 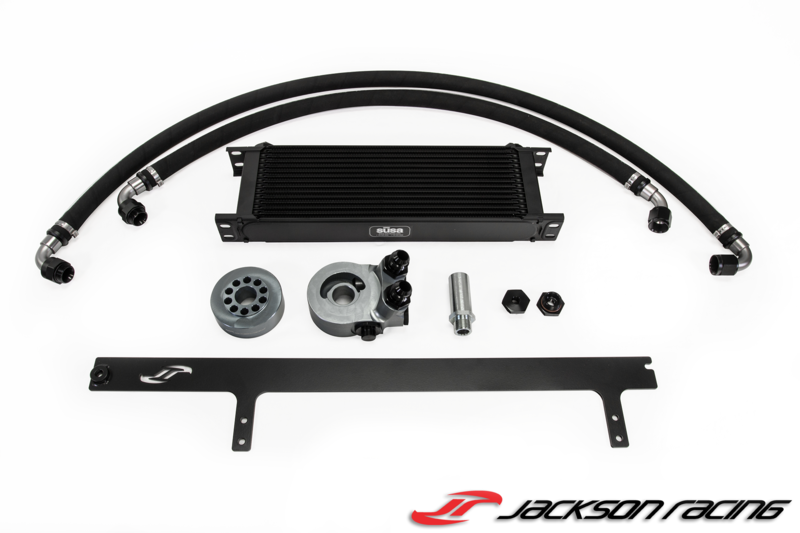 The supercharger kit delivers an additional 50 horsepower and 45 ft-lbs of torque, an impressive 40% increase HP and 38% increase in torque. All while maintaining the excellent fuel economy expected from the CR-Z Sport Hybrid. 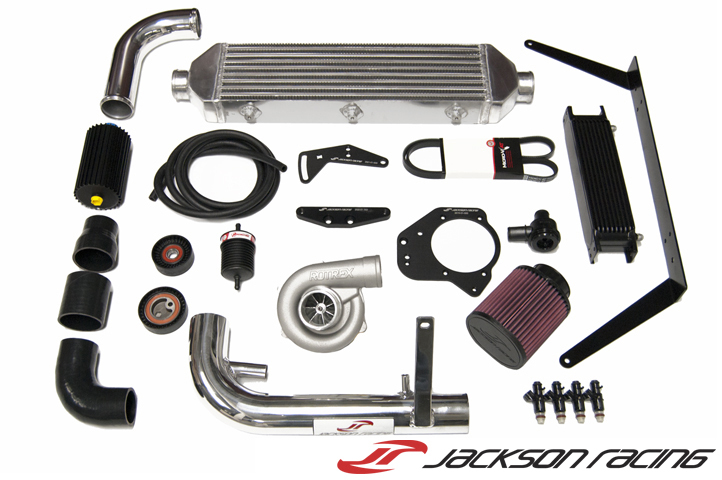 The Jackson Racing CR-Z supercharger system has been through extensive durability testing to ensure factory drivability is retained, while giving a substantial boost in performance. This testing includes track time by seasoned drivers, taking the car and supercharger system to the limit. The Jackson Racing CR-Z attended Super Lap Battle 2011, and on its first try broke the current Hybrid record by almost 6 seconds. The TIY kit is ideal if you already have engine management and want to do your own tuning. 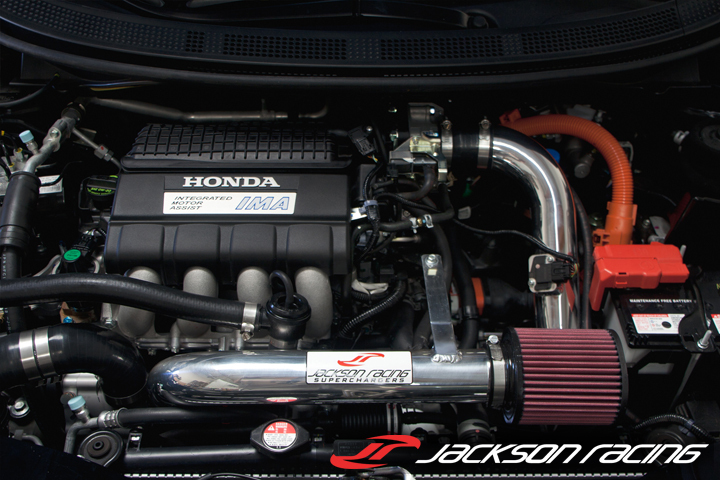 The FlashPro Tuner system includes the Hondata FlashPro and the Jackson Racing CR-Z calibration. This system is ideal if you are looking for the data-rich features of FlashPro, and to learn more about your CR-Z. Q: Will my 6-speed manual need a clutch upgrade? 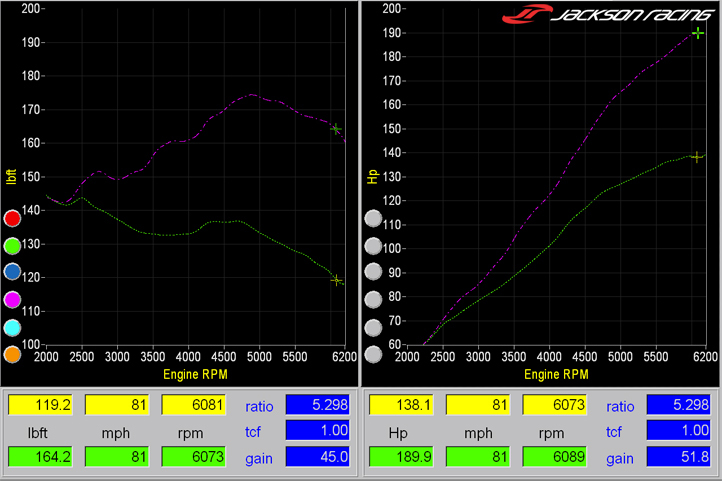 A: The Jackson Racing CR-Z has done over 30,000 miles including several track days all using the stock clutch. If you have an aggressive style of driving we would recommend a clutch upgrade. Q: Is the kit available outside the USA? A: Yes, the FlashPro Tuner system is available for international customers. Visit FlashPro CR-Z to view the supported ECUs. Q: Will I be able to adjust and custom tune my calibration?